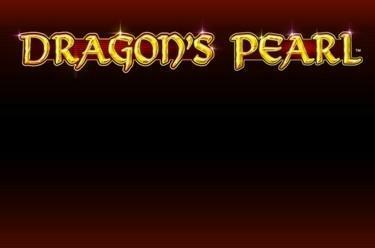 Play Dragonʼs Pearl™ online for free now! With the head of a water buffalo, the body of a giant snake and the teeth of a lion, our Chinese dragon is looking just as fierce as he really is! Prove that you’re a brave warrior and dive right into Dragon’s Pearl™ and steal the giant pearl right from under the dragon’s nose! Managing such an awesome deed will not just net you a lot of Twists, but also great honor! To steal the dragon’s treasure in Dragon’s Pearl™, you need to align 5 symbols next to each other along one of up to 25 win lines, which always run from left to right. 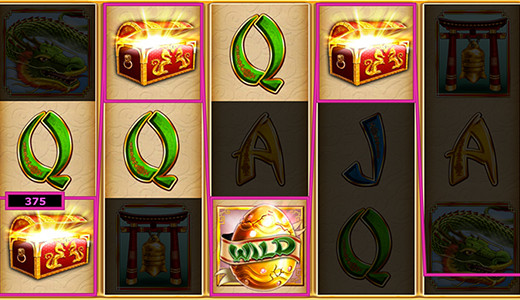 The Golden Egg symbol (Wild) can substitute all other symbols except for the Gong, which serves as the slot’s bonus symbol. The Gong only appears on reels 1, 2 and 3, triggering 10 Free Games as soon as it appears 3 times. The Dragon’s Pearl (Scatter) wins regardless of its position on the reels, it just needs to appear at least thrice at once. Your Scatter win can double or even triple if a Golden Egg substitutes for one of the symbols on the reels! If at least one Gong (bonus symbol) appears on the first to the third reel, you’re rewarded with 10 Free Games, which are played at trigger bet and lines. You can win even more Free Games during the Free Games feature. And here’s the best thing: All winnings in the Free Games are multiplied by 3!